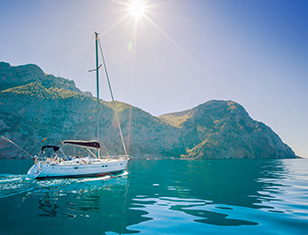 What better way to enjoy a holiday on the Med than to take to the seas on a stunning yacht for the day? It’s a wonderful way to see the area from a different perspective and you can stop off to visit a great beach club, try a spot of fishing, visit a marina, or even look for whales and dolphins. It’s a wonderful addition to any holiday by the sea. 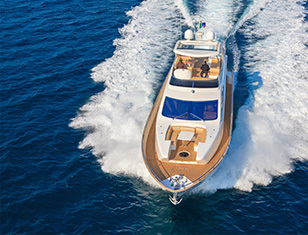 You can choose between a fast motor yacht and a serene sailing yacht for either four hour or eight hour charters. You don’t need to be experienced sailors, we will provide the skipper and crew to take care of everything and we can have a private chef whip up a delicious lunch, or serve a cocktail reception whilst you’re aboard. We are here to help, so let us know what your perfect day on a yacht looks like and we will make your dream a reality. 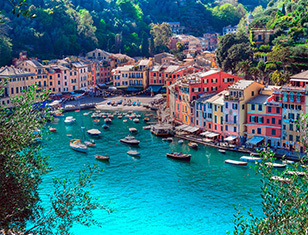 We have a great selection of yachts moored on the Costa del Sol, Côte d'Azur and along the coast of Italy and in each destination there are some wonderful day trips you can enjoy. You can also hire a yacht for a corporate event, or one of a kind wedding breakfast, if you can dream it we can make it happen!